In March 2003 after several line-up changes and a first recorded demo (“Cruel Destiny”) serious things started. Christophe Rodriguez joined the band as bassist: the line- up became full, strong and motivated. A second demo recorded in November 2003 (“Vision of a Life”) allowed the band to play several gigs in Bordeaux including “the contemporary music contest” where Breakdust won the audience award. Foundations were laid, a third demo (“Eye of cyclone”) in studio conditions, was recorded to promote the band in best conditions. The feedbacks were good and allowed the band to appear on 4 compilations. – 9 tracks recorded at Bud Records by Mathieu Pascal (Gorod) ,mastered at Studio Oasis (USA) by Eddy Schreyer were released in December 2007. The band defended this first opus on stage but despite reviews in HardRock magazine, Metallian, 3 videos ( produced by Deftom) , no great gigs and no unanimous criticism permit the band’s ascension . Disillusionment settle down. New tracks were written but the quartet began to get out of breath. In 2012, the band played some good live performances including “Raging metal fest”(2nd Edition) and “Music fest” in Bordeaux:the public appreciated new tracks!! As a piece of evidence: second album will kick asses!! Mathieu Pascal (Gorod) of Bud records, always on command, also at the mix, mastered by Mobo of Conkrete studio, artworking signed by Mathieu Aziza (Hanathem , Yurakane, Raging Metal Fest III …) and promoted/distributed by Finisterian Dead End (www.finisteriandeadend.com). The band took the bet to come back with the will to break audience’s neck: thrash, thrash and still thrash, riff beating down, and a sum of technical and increase of tempo.Thanks to the great promotion work of their new label Finisterian Dead End and good reviews, the band finally succeeded to play out of Bordeaux: Tarbes, Toulouse, Vallet, Rennes, Lorient(Dead End Fest 1rts Edition),Nantes, Brest.Success is coming!! Breakdust won SFR’s young talent contest at HellFest open air 2014 (Metalcorner’s Stage) and are proud to be THE FIRST band to be officially programmed on HellFest open air 2015’s Main Stage!! 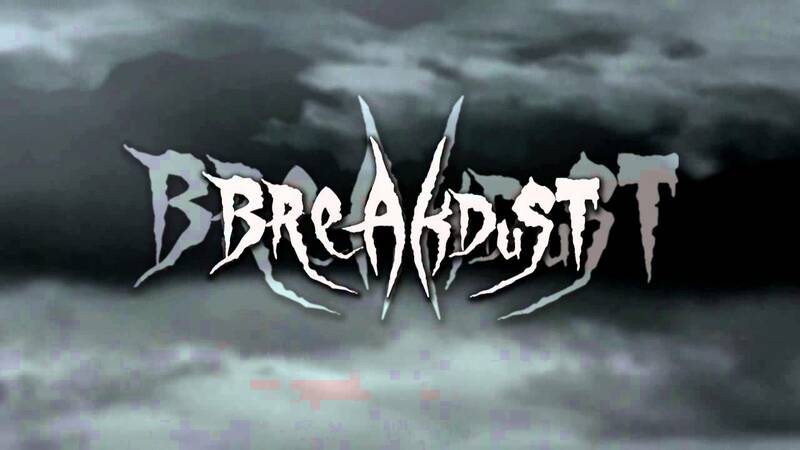 Today Breakdust enters a new Era where everything seems to be possible. For fans of: SEPULTURA, CHIMAIRA, ARCH ENEMY, SLAYER, MACHINE HEAD, LOUDBLAST, METALLICA, TESTAMENT, GOJIRA, ANNIHILATOR.